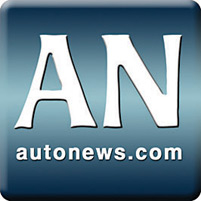 You can carry our Web site in the palm of your hand with the new Automotive News Mobile Application. The app provides instant access to 12 news and video feeds from autonews.com, including breaking news, columns and blogs, monthly sales data, vehicle specifications and a calendar of events. You also can view our First Shift morning newscast and Automotive News TV afternoon show. The application will work with most smart phones, including BlackBerry, Android and Palm. You soon will be able to download our app for your iPhone or iPod Touch from the Apple iTunes store. The app is available on a free trial basis until Dec. 31. In 2011, it will cost 75 cents a week for Automotive News subscribers and $1.90 a week for nonsubscribers. To download the application, just text "autonews" to 46275 or visit autonews.com/mobile. If you are a registered user on our Web site, the same username and password you use for autonews.com can be used to log in to the mobile app once it has been downloaded to your smart phone.